The Dexter DDS-10S-PCP Sani-Safe® sharpener is diamond dust coated, making it perfect for sharpening commercial cutlery. A finger guard between the handle and steel helps protect the user's hand during sharpening. 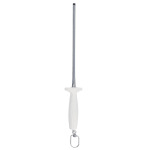 The white polypropylene handle provides a comfortable, slip-resistant grip. With a 10-inch steel and 5-inch handle, the Dexter DDS-10S-PCP Sani-Safe diamond sharpener measures 15 inches long. 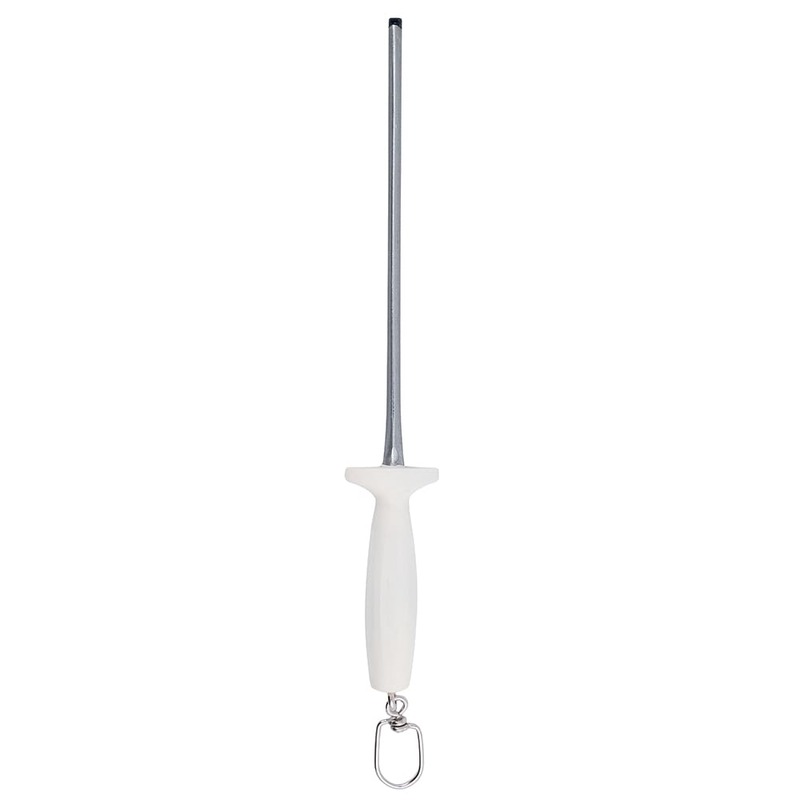 A swivel ring on the end of the handle enables for hanging storage on wall hooks and pot racks.